PDF is called portable document file. We use PDF format printing file to print. That means, our printing workflows are PDF-based. After we received our client’s printing files, our designer will check whether the printing files are good for printing or not. After checking the printing file, we will do a set of low-resolution PDF proof and send to our client for approval. When we check the printing file, if it has any issues which are not good for printing and we can modify, we will modify for our clients. That means, our client original artworks are modified by us for doing good quality printing products. That’s why we send a set of PDF proof to our clients. 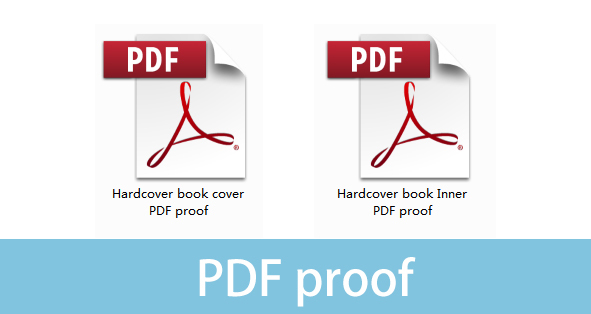 To compare with other samples, PDF proof is the most economical proof. But, PDF proof disadvantage is the client can’t see the real sample. Meanwhile, different screen shows different colors. If the client doesn’t have more experience on printing or the client is very strict on the color, PDF proof is not enough. You may choose hard proof, digital sample, offset printing sample or dummy.